There’s so much more to Lan Kwai Fong than people think. 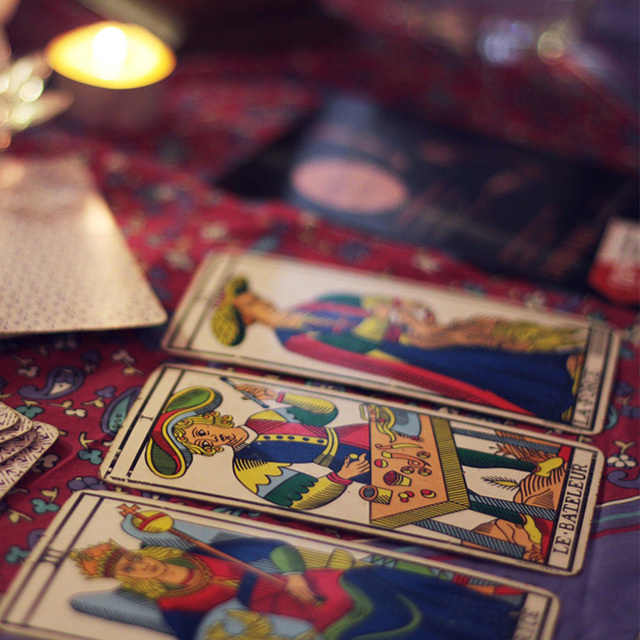 Yes, we’ve got great outdoor terraces and happy hours, even art galleries and great food – but did you know we’ve got our own resident tarot card reader? That’s right! You can sit with Letao Wang of the Healing Kingdom and get a peek into your future from the comfort of Employees Only. Letao gives two kinds of readings: longer, more in-depth ones at his reading room in Tin Hau, and shorter, punchier, more accompanied-by-alcohol ones in Lan Kwai Fong. The longer readings are a combination of tarot cards, astrology and therapy, and use your birth chart and the specially made ‘Letao Deck’ to get to the heart of your soul. In Employees Only, however, where the focus is on the cocktails and the atmosphere is about having a good time, the readings are fun, quick and uplifting. You can come to Letao with your most burning questions, and in ten minutes he’ll help you find a way to solve them, or a new way of understanding them. Ask about your relationship, your travels, your career – anything at all, just not health. Leave that to the doctors. He flicks through the deck and pulls out Medusa, the Gorgon with a head of snakes and eyes that can you into stone. “She represents a part of us that’s turned into stone. She means that we’re stuck, unable to move forward,” he explains, but she is not invincible. Through his readings, he hopes people are able to overcome their inner Medusa. “It’s a journey to find our true self, to give us courage and to empower ourselves so we can actually face the ugly parts of ourselves and say, ‘I’m going to destroy that.’” And if you have to destroy that with a classic cocktail in hand, that’s no bad thing!